This September the University of Liverpool’s Museums and Galleries (M&G) opened up their stunning Victorian buildings designed by 19th Century architect Alfred Waterhouse, probably most famous for designing London’s Natural History Museum. 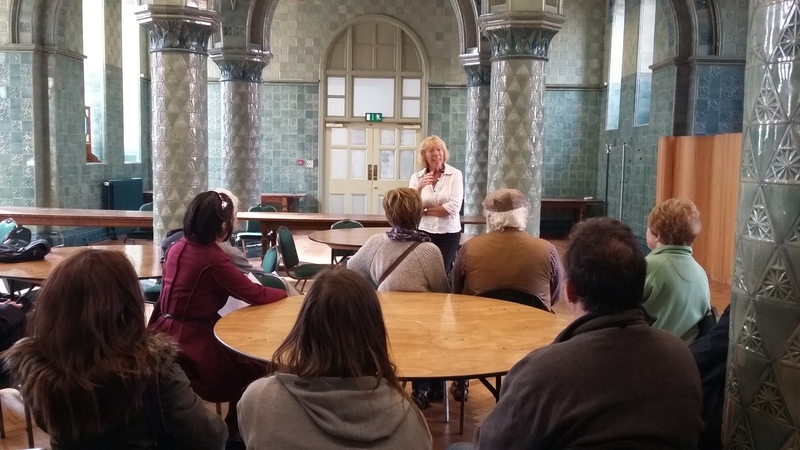 As part of the national Heritage Open Days initiative, tours were arranged taking in the decorative Victoria Building (now home to the Victoria Gallery & Museum) and the Victorian Liverpool Royal Infirmary. Tours were led by two M&G volunteers, both of whom are retired and have a real interest in Alfred Waterhouse and the wider history of the university. Many older people attended the tours, some of whom had connections with the buildings, including a nurse from the infirmary and a lady who was born there! Visitors enjoyed sharing their stories, there was lots of enthusiastic questioning and many said they felt privileged to explore these fascinating buildings with such a rich history. “We are delighted to be able to take visitors behind the scenes of the University and explore fascinating buildings they may have been past many times but never had the opportunity to look inside”, said Education Officer Kirsty Hall. “The University has possibly the finest collection of Waterhouse buildings, along with a variety of architectural examples from other periods”. As a result of these successful tours, the University’s Alumni team have approached M&G requesting tours for former students, many of whom will have memories of studying or working in these buildings. M&G staff recently undertook Age Accessibility training and are now consulting with older audiences regarding building accessibility and future events. There is already an established well-being arts programme offered to University staff and students so this could be an area to develop for older visitors. It is thought that heritage tours will form part of this programme, having already proved so popular.